Are you tired of watching old films over and over on TV? Do you think the movies shown are very outdated? If your answers are YES, then you need to subscribe to YuppTV Bazaar. But what is this kind of entertainment provider? YuppTV Bazaar is a renowned online Over-the-Top (OTT) entertainment solutions provider. With the advent of the Internet and digital technologies, YuppTV Bazaar is created for customers’ convenience. There are times that movies released and shown on TV are very old-fashioned, and people cannot watch what they really want. They cannot choose the genre of the movie they want to see, because movies on TV are provided according to schedule and the TV management's decision. And, because the whole family – including children – watches TV at home, the movies released are limited. The movies and TV programs have to be suitable for all ages, which can be a disadvantage. Not all watchers are satisfied with what they see on TV. 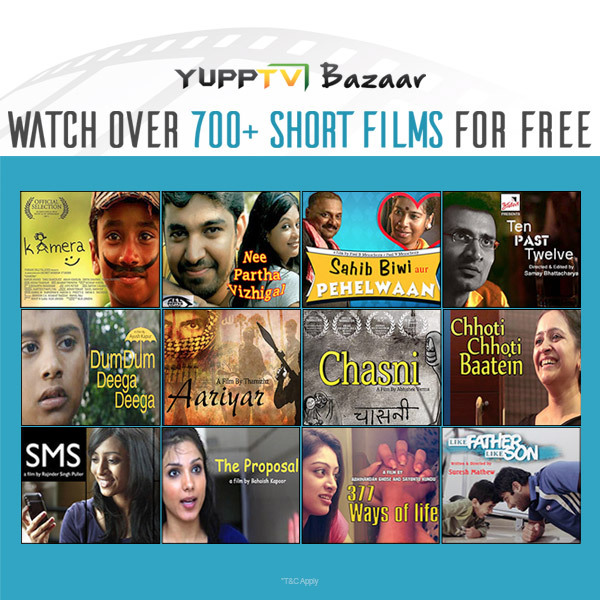 On YuppTV Bazaar, one can watch short films online, provided he has access to the Internet and a digital technology, such as a laptop or a smartphone. The entertainment solutions provider gathers all genres of movies – from thriller, romance, comedy, to documentary and more. As the name implies, short films are very short, just like trailers of a full movie, lasting only for few minutes. Yet the short films are actually full movies, but they are collected and gathered on YuppTV Bazaar so people can watch the trailer before they decide to watch the full movie. This is a very genius concept because the Internet users do not need to wait for an advertised trailer shown on TV. With just a click of the mouse, one can watch the trailer right away.